The roaring surf and salty sea air at Cliff House, perched on a high bluff along the coast of southern Maine, has attracted nature-loving guests since it opened in 1872. With most rooms showcasing expansive views of an endless horizon, Cliff House evokes a wild beauty that can’t help but bring guests into bloom, like the lovely sea roses that grow nearby. The 9,000-square-foot Spa and Wellness Center, a true sanctuary, is inspired by the elements—wind, water, earth, fire, metal—which are all on display, in full force, along the rugged Maine landscape. 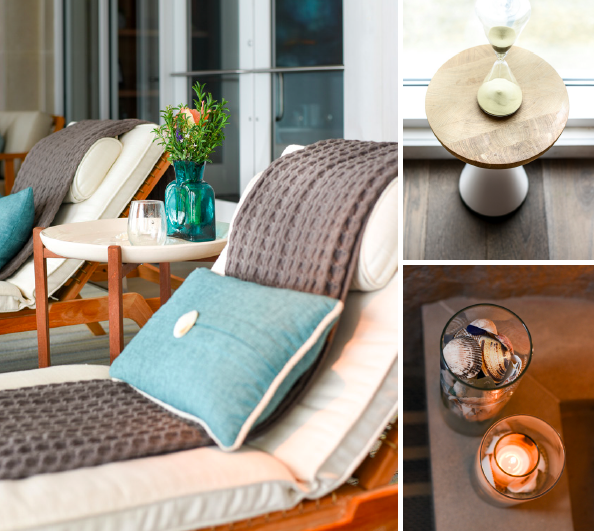 Each treatment room frames a view of the boulder-strewn coast tumbling into the Atlantic. The signature Seacoast Rose Experience (featuring Jurlique skincare), is inspired by those deliciously wild Rosa Rugosa roses.